Tickets are now available for La Verne on Tap, set for 5 to 8:30 p.m. Saturday (September 29) in Old Town La Verne. Participants will visit local businesses to sip and sample from local breweries and eateries. Veterans Day isn’t until next week, but veterans will take center stage this Saturday (November 4) at the Amber Waves of Grain beer festival in Corona. The event is set for noon to 4:30 p.m. at the Shops at Dos Lagos, 2780 Cabot Drive. 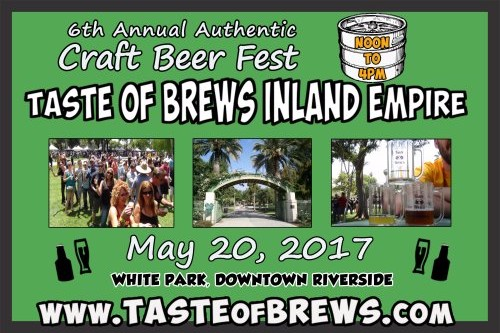 Taste of Brews Inland Empire makes its return to Riverside on Saturday (May 20). 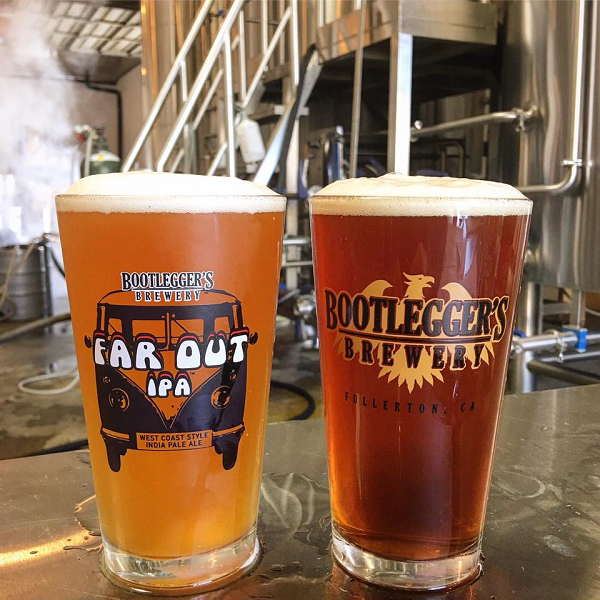 The event is set for noon to 5 p.m. at White Park, 3901 Market St.
Fullerton’s Bootlegger’s Brewery has landed in the Inland Empire. It’s finally moved into the space that, until recently, was Wild Donkey Brewing Company, 2351 W. Lugonia Ave., Suite G, Redlands. I guess we can keep a secret. The inaugural Inland Empire Beer Week begins kicks off Saturday (September 17) with the Inland Empire Brewers Guild Summer Send Off beer festival. The event is set for 1 to 4 p.m. at the Riverside Municipal Airport, 6741 Gemende Drive. 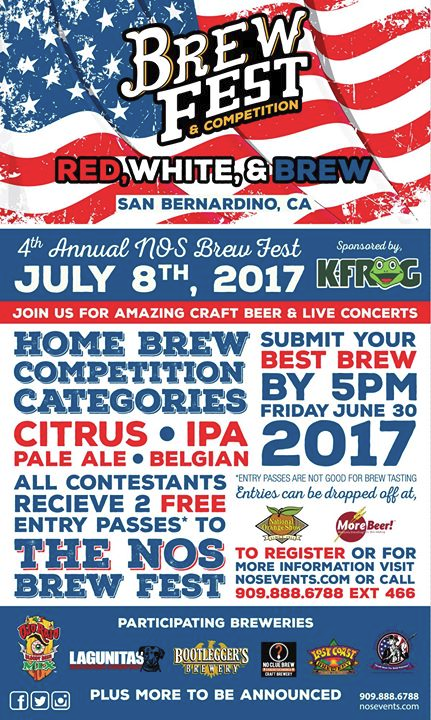 About 20 Inland Empire breweries are expected to pour at the event, along with more than a dozen breweries and cideries from beyond the region. Tickets — available now online — are $35 (plus a $2.52 service fee) for general admission and $45 (plus a $3.07 fee) for VIP, which grants admission at noon. Tickets include a keepsake glass, unlimited beer tasting, live music and access to food trucks. 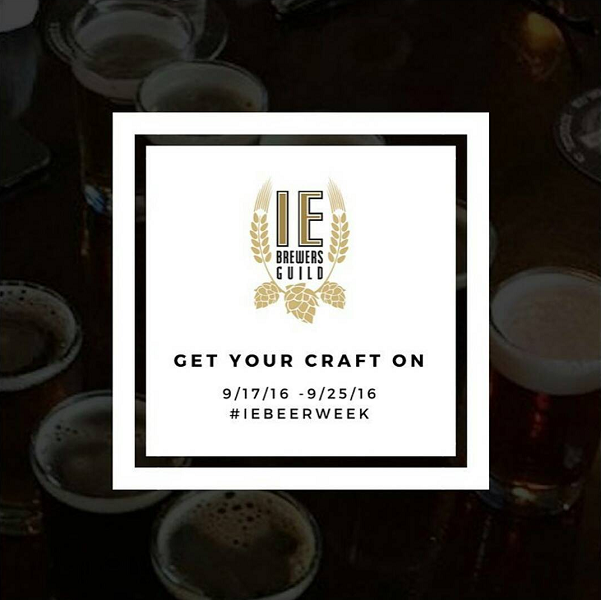 However, you might be able to score $5 off those prices with the promo code IEBG2016. Designated drivers get in for $20 (plus $1.69 service fee). 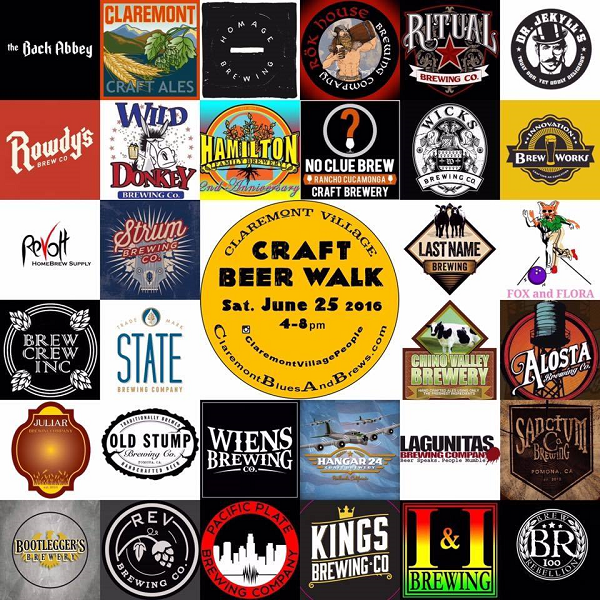 The Claremont Village Craft Beer Walk (formerly known as the Claremont Blues and Brews) has traditionally been a great way to experience beers from local breweries before they open, and this year is no exception. Among the yet-to-open breweries participating in this year’s event are Rowdy’s Brewing Company (coming soon to Rancho Cucamonga) and Strum Brewing Company (coming soon to Ontario). Beer fans looking to escape the heat this summer can easily do so…at 7,800 feet. The Mt. 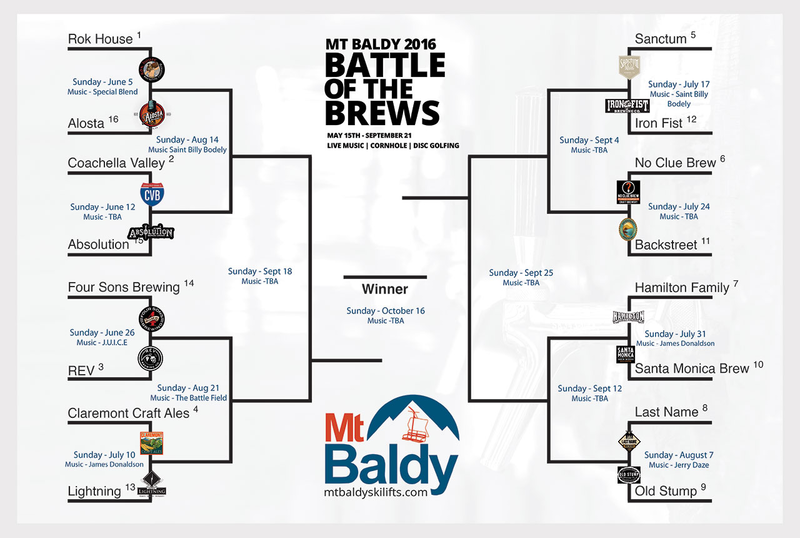 Baldy Battle of the Brews returns this Sunday (June 5).